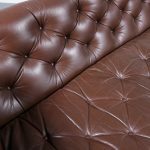 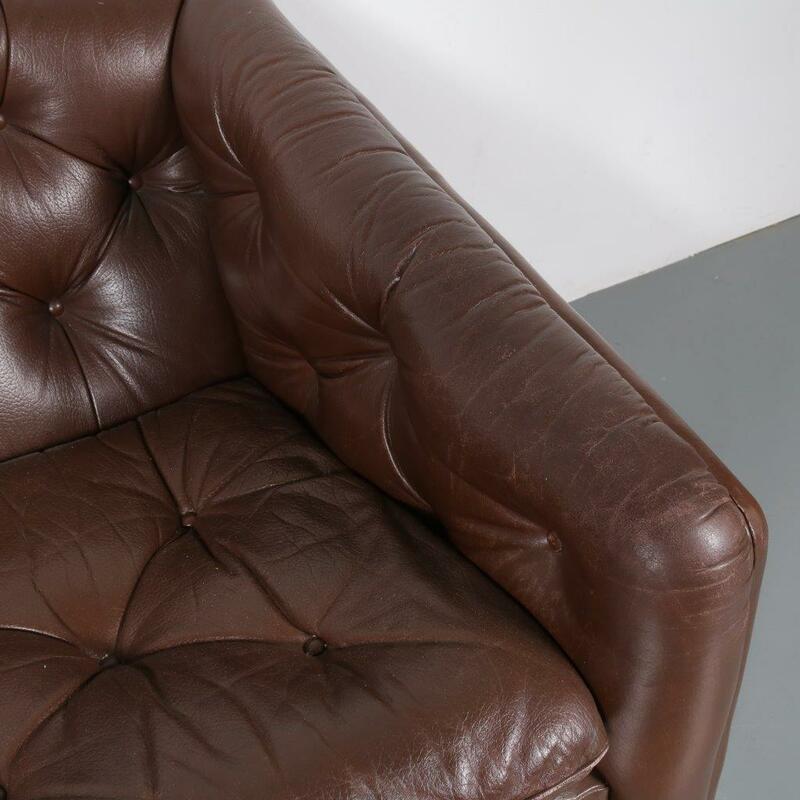 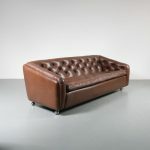 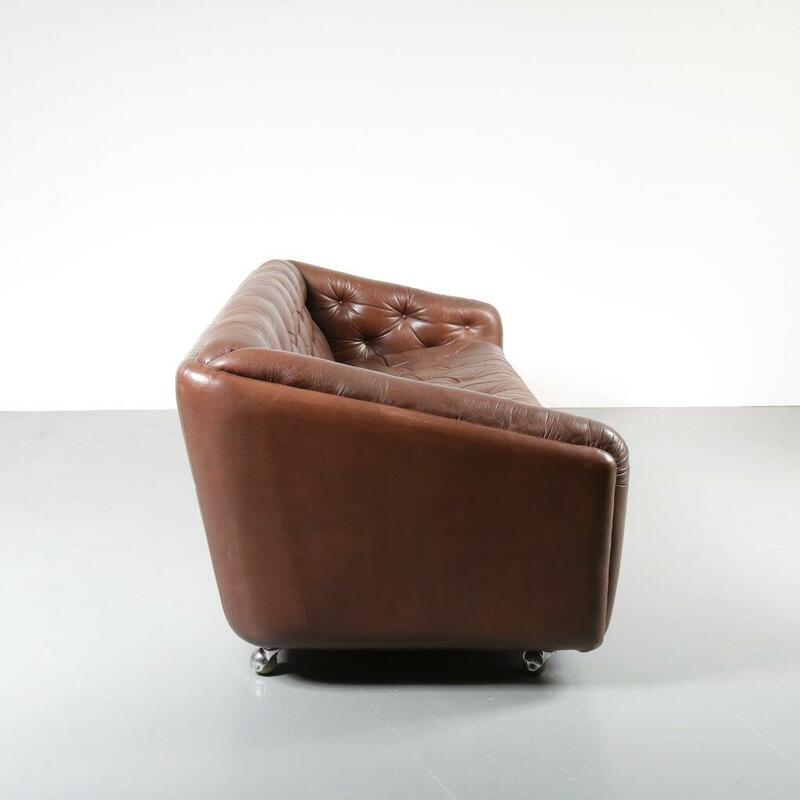 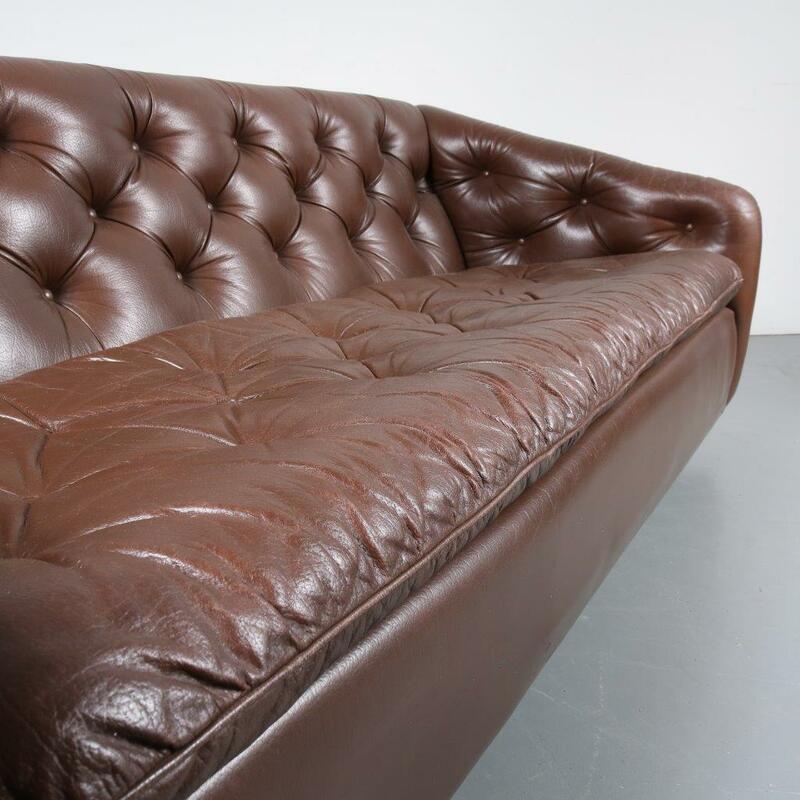 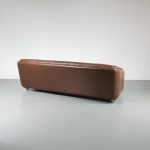 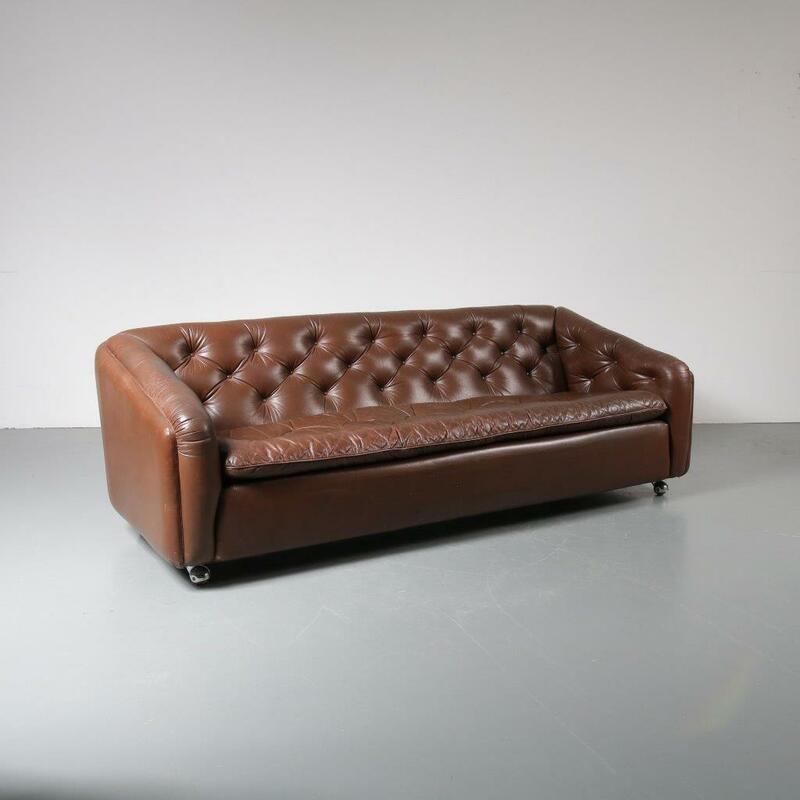 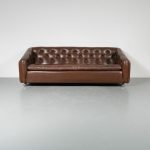 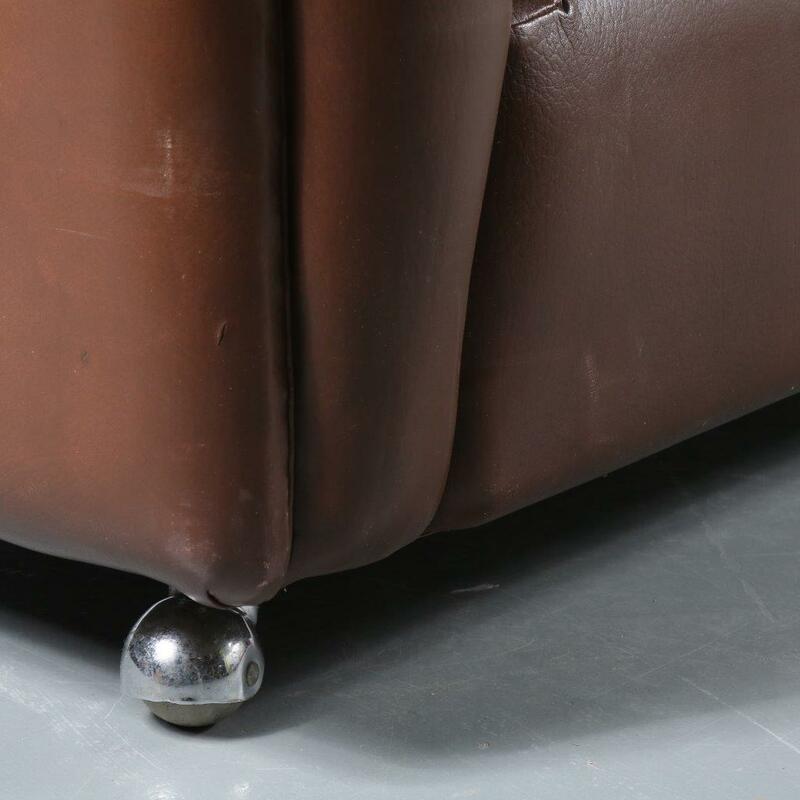 A brown leather three seater sofa with a very luxurious style! 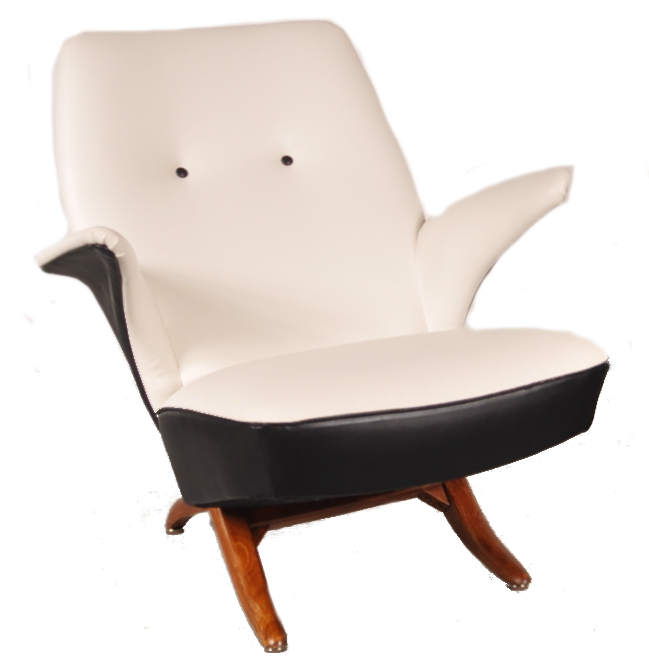 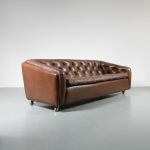 This piece has a tufted upholstery to prvide additional comfort and a beautiful, impressive style. 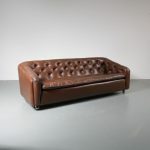 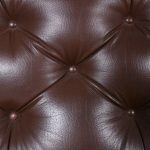 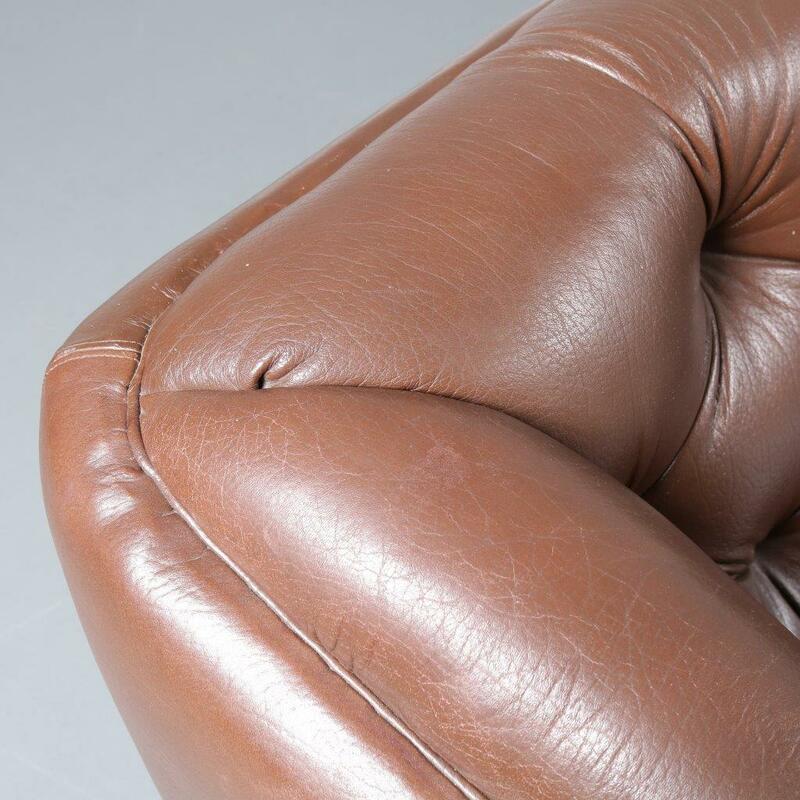 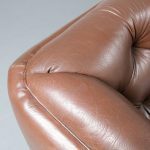 The warm brown colour of the high quality leather adds beautifuly to it’s appearance. 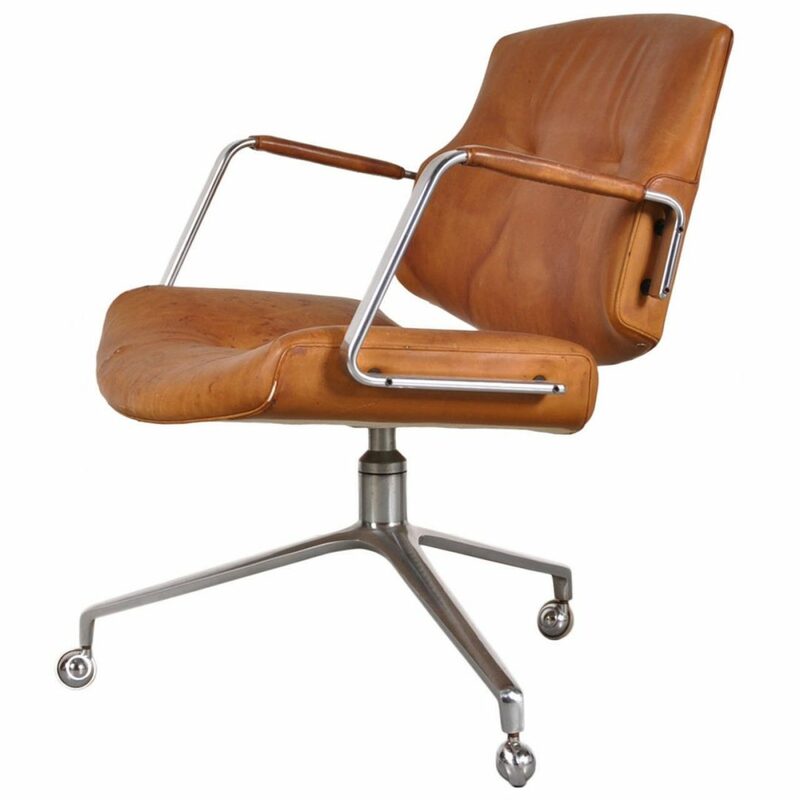 The chrome plated metal feet hold wheels for easy movability. 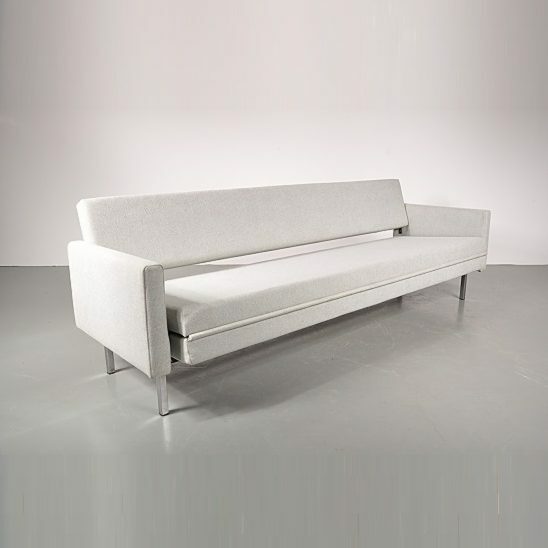 This allows the sofa to be versatile and used differently for different ocassions and quick changes of interior! 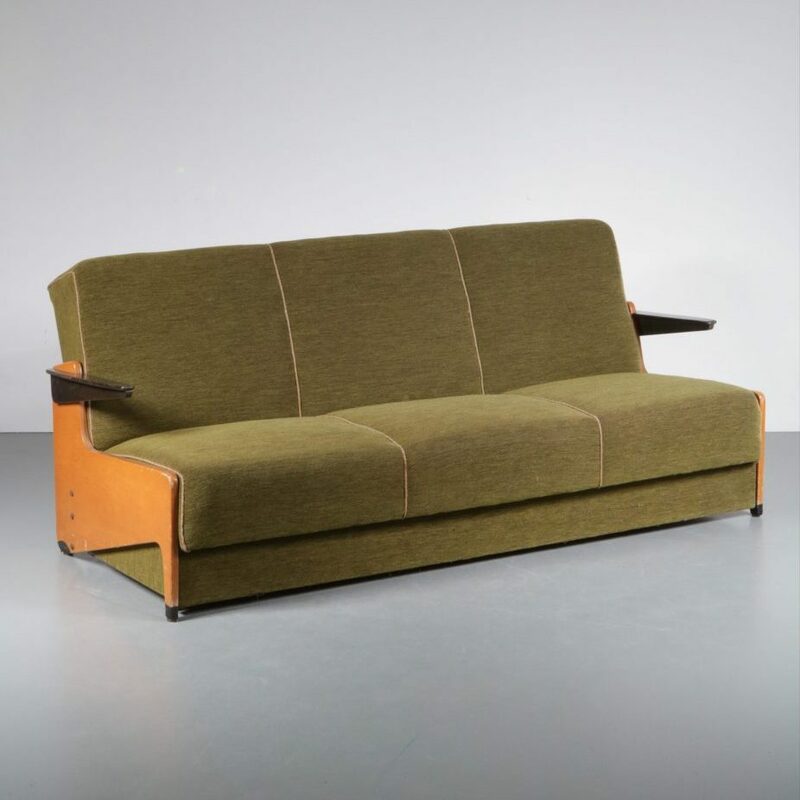 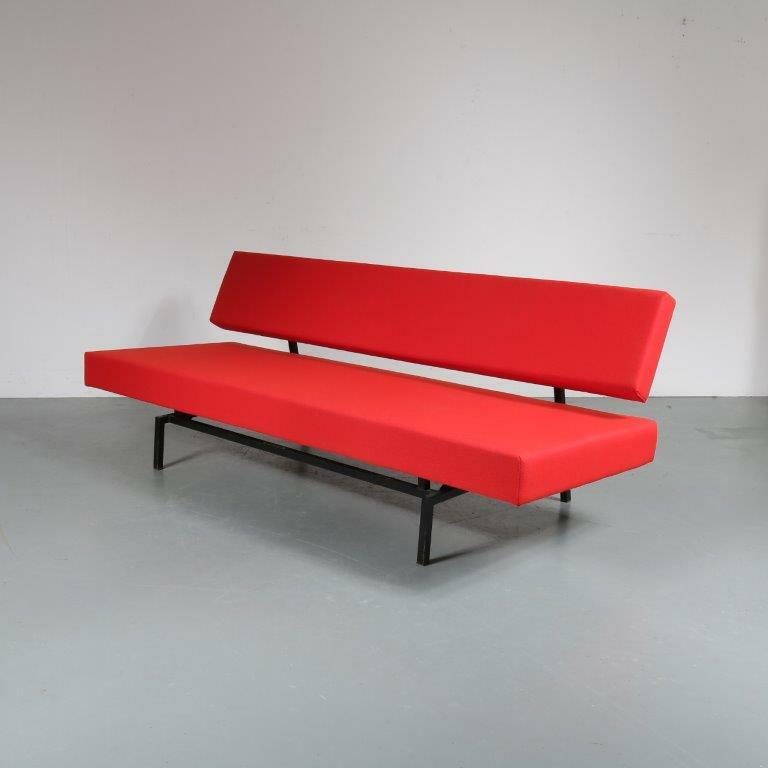 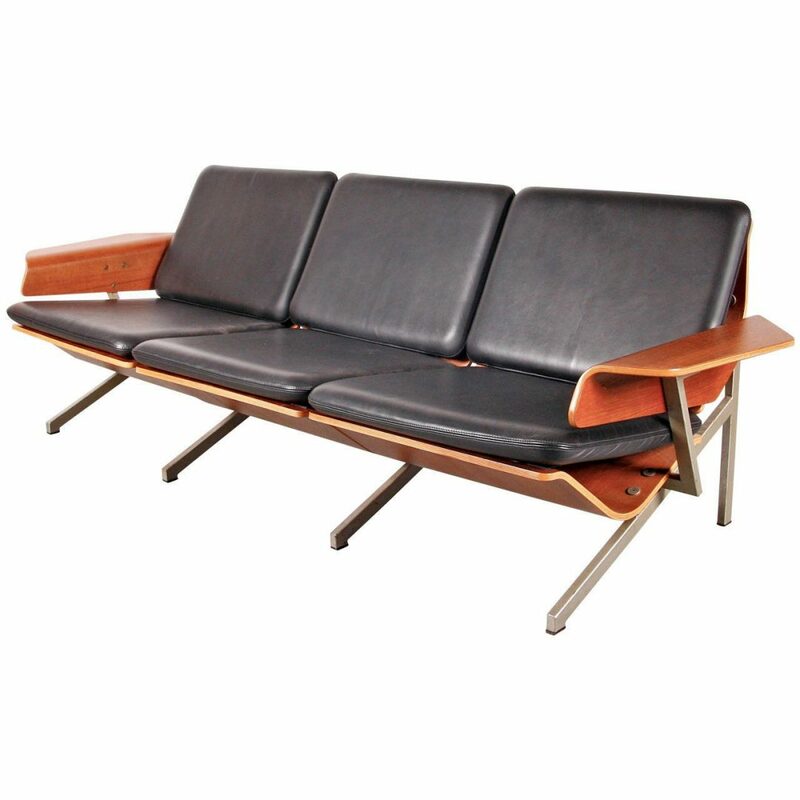 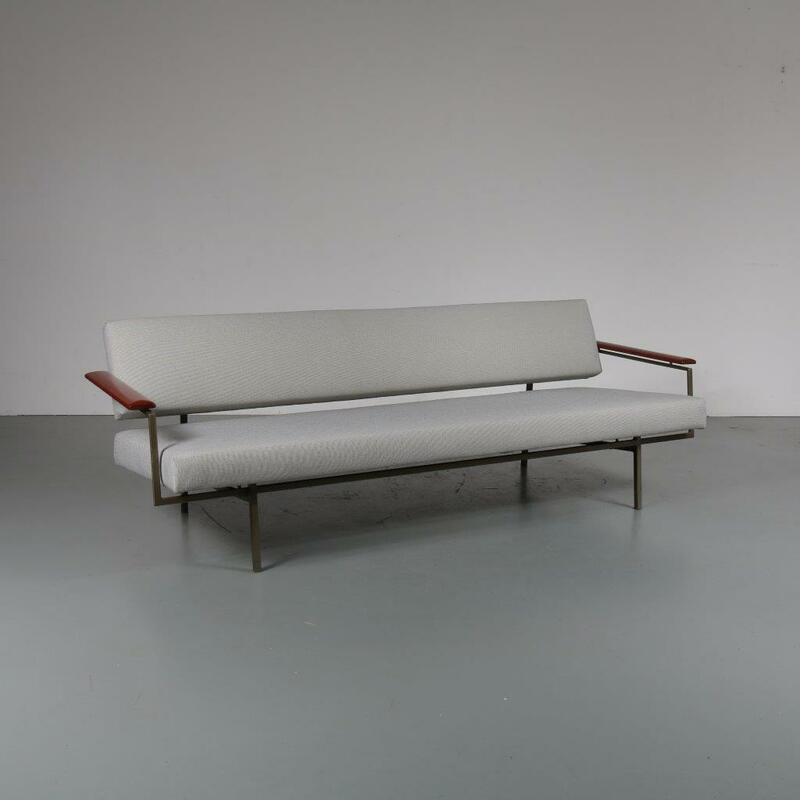 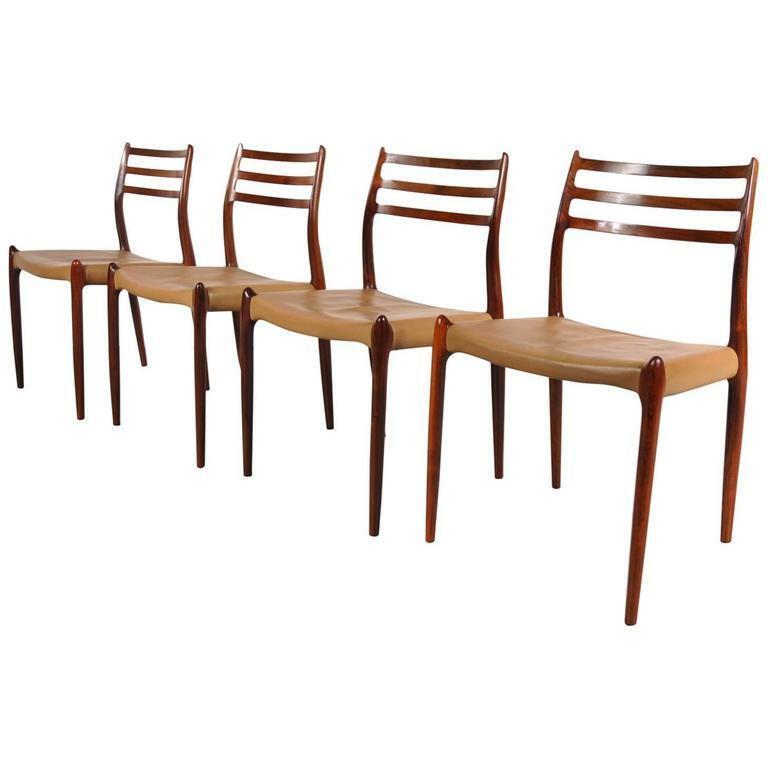 A lovely piece of Dutch design that remains in fair vintage condition with some wear to the upholstery, preserving a beautiful vintage patina.